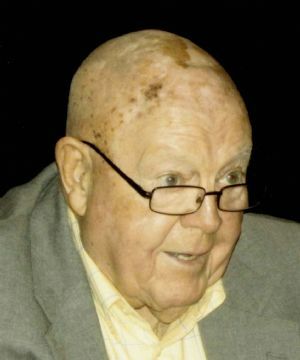 Charles William “Bill” MacNeill, age 99, of Naples, FL, and Green Lake, WI, passed away on Sunday, November 25, 2018, at Patriot Place in Berlin, WI. Bill was born in Louisville, KY, the son of William Joseph and Daphne (Hurlbutt) MacNeill. Bill attended U.W. Madison where he graduated with a degree in metallurgical and industrial engineering. He also attended and graduated from Technical School AAFTTC at Yale University. He became a flight engineer on B-29s and on B-24s. He was a maintenance control officer for 24 months in charge of 1800 men. Bill married Mary Kathryn (Morse) on August 11, 1956 in Wauwatosa, WI. Mary Kay preceded Bill in death on July 14, 2012 in Naples, FL, following 56 years of marriage. Bill and Mary Kay moved to Green Lake, WI, where he designed, built, and manufactured the first fiberglass E-Scow and Pram sailboats. He went to work for Berlin Chapman where he helped build their new foundry and installing state of the art furnaces. He left Berlin to work for Vollrath Corporation and eventually Kohler Company. In 1976 he developed the electric melt system which was one of the most difficult and monumental projects ever taken on by the Kohler Co. He went on to establish his own foundry consulting business and for years would fly to Dallas, TX every Monday morning and fly back every Friday night. He continued working with overseas foundries importing castings until 2016. He retired at the age of 97. He worked a “second job” and was president of McConnells Marina which eventually became Lac Marina. Bill was an avid golfer and sailor. He began golfing at Tuscumbia Golf Club in 1933. He played many times in the Gene Edwards pro-am tournament. One year he tied for 7th in the amateur division. He had to play without his prosthesis to be able to swing. When they moved to Naples they moved into the Foxfire community where they bought a house overlooking the ninth green. He continued to play golf until the age of 97. Bill is survived by his daughter, Christine (Robert) Hills of Princeton, WI; grandchildren, Matt (Laura) Hills of Louisville, CO, Morgan Kathryn (Sean McWane) Hills of Ripon, WI, James (special friend, Sarah) Hills of Lindenhurst , IL, William “Billy” MacNeill Hills of Princeton, WI; great-granddaughter, Georgia Hills of Louisville, CO; a niece, Barb MacNeill of West Bend, WI; and grandnephew, Rob (Ally) MacNeill of San Carlos, CA. Bill wrote in a letter to his daughter, “Our travels through life are brief at best, why not enjoy it?” He was a man who never took no for an answer. A family celebration and inurnment in Dartford Cemetery, Green Lake will take place at a later date.